Population: 7,00,000. This city has a long been a center of Indian pilgrimage Dogra culture, temple city. Majority of Hindus with small Muslim communities around Banihal and Kishtwar south of the Kashmir valley, around Poonch and the border. 42 KMS. A picturesque picnic spot. 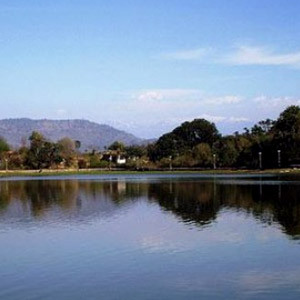 62 Kms a beautiful Lake surrounded by hills accommodation in Huts and Tourist bungalow. 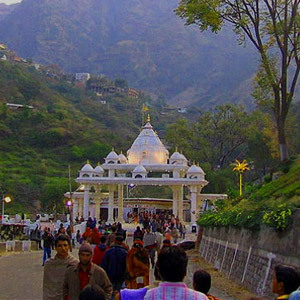 On the pilgrimage route to the famous shrine of MATA VAISHNO DEVI which is in Katra 50 kms from Jammu Greeting " JAI MATA DI" (HOLLY MOTHER ) thousands of pilgrims chanting it during the NAVRATRAS in March April and September October to reach the Shrine a trek of 15 kms from Katra. The path has been paved and facilities of drinking water, snack bars, medical aid. 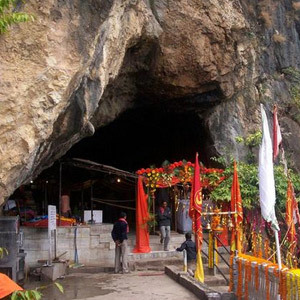 The Shrine Board at Katra has two counters for issuing Yatra slips to the visitors after obtaining the Yatra slip the Pilgrim must cross the check point within the period of 6 hours from the time of issue. There are facilities for hiring blankets non leather walking shoes. Visitors should have non leather walking shoes, cotton bags , torches , caps and umbrella and water proof jacket. There are also Helicopter services from Jammu to Katra and also from Katra to Shrine'..
100 kms from Jammu City and 75 Kms from Katra, the second religious shrine of Mata Vishno Devi. By Air: All major flights operating daily from all major cities in India . 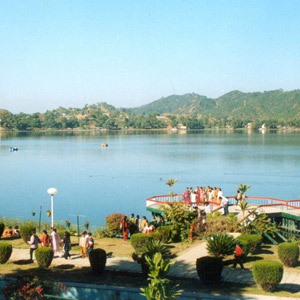 7 kms from the City –Tourist Reception Centre, Taxis and Auto-rickshaws are available. By Rail: It has excellent rail connections with all parts of the country as well with many fast and super-fast trains. Jammu Tawi railway station is 5 kms from the city. By Road; on national highway to Delhi 580kms , to Srinagar 290kms, chandigarh 362 kms, Agra 786kms, Patnitop 112 kms, Leh 727 kms. Accommodation: Deluxe & Standard Hotels/ Economy Hotels and Guest houses. 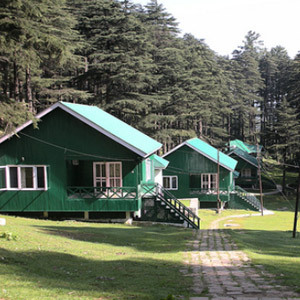 Hill station, charming plateau at 1950m, surrounded with dense woods and Lush greenery of pines. Patnitop is an any time place the best time for visit during May to June , and autumn September to October. From December to March surrounded by Snow one can do skiing/, sledging. Carry woolen at all times as showers can suddenly cause a chilled. 5 hours drive from Jammu 110 kms and to Srinagar 180 Kms . there are good accommodation Hotels/ Tourist bungalow and youth hostel. .